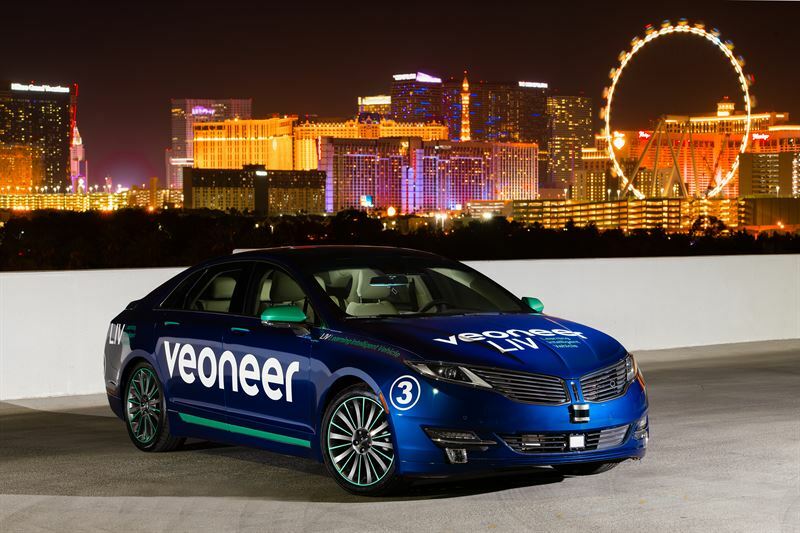 Las Vegas, (CES), January 6, 2019 – At the annual Consumer Electronics Show in Las Vegas, Veoneer (NYSE: VNE and SSE: VNE SDB) will showcase technologies, solutions and research that will support the evolution of cars well into the 2030s. It is predicted that in 2030 the vast majority of all cars sold will include advanced technologies that provide collaborative interaction with the driver, while a fraction of the market will be fully autonomous cars. In Collaborative Driving, the car is handling parts of the driving, but the driver is still engaged. This evolution will, over the next decade, bring completely new levels of safety and convenience, benefitting car occupants and society at large. Pilot Assist Level 2+, which gives a car the ability to steer, brake, accelerate and guide itself, still with the driver in the loop, in an increasing number of situational conditions. Veoneer, together with its partner Zenuity, will deliver its first Pilot Assist functions in 2020, with increasing functionality in the years to come. This will be a true enabler for collaborative driving. Forward-looking cameras using Deep Learning technologies, which will be used in more advanced and reliable ADAS such as next generation highway pilot assist. Veoneer is a pioneer in deep learning vision with the first customer deliveries in 2019. 5G Connectivity, enabled by Veoneer’s partnership with Ericsson to utilize its latest, cutting-edge 5G technology to let drivers (and vehicles) interact with their surroundings, including real-time roadside assistance, and direct engagement with service providers, such as traffic controllers or people working along the road in unanticipated situations, such as accidents. Zeus supercomputer, the world’s first publicly-announced technology that meets the requirements for level 4 Autonomous Driving. Zeus fuses data from cameras, radars and other sensors, and then interprets situations and takes required actions. Zeus is a collaborative effort between Veoneer, Zenuity, and NVIDIA. On track demonstrations will be done utilizing LIV 3.0 the third generation of Veoneer’s research vehicle which is focusing on building trust between vehicle and driver and vice versa, using several Human Machine Interface related technologies. Veoneer will be at CES 2019 in Las Vegas January 8 - 11, 2019. To see Veoneer’s complete technology showcase, welcome to our exhibition at PL #1 in the Platinum Lot located on Swenson Street, just outside the South Hall. To book a LIV3.0 test ride, please contact sogand@aknpr.com or call +1 (805) 886-7472.